Alyssa Satin Capucilli, beloved author of the bestselling Biscuit books, has written another charming story about a little girl and her dog. With illustrator Sarah Massini's whimsical artwork, Tulip Loves Rex is perfect for fans of Ladybug Girl by David Soman and Jacky Davis and A Pet for Petunia by Paul Schmid. Tulip Loves Rex is a sweet story about Tulip, who loves to dance, and her new friend Rex, a fluffy dog who also loves to dance. The lyrical text touches on themes of friendship, acceptance, and, most important, finding out what makes you who you are—and sharing that with someone you love. This lively but gentle story is perfect for bedtime and for any child who dances through life or dreams of having a pet as a best friend. From the very moment she was born, Tulip loved to dance. She learned to spin before she could crawl, and to hop before she could walk. Tulip wouldn't be Tulip if there wasn't a skip in her step! Every evening before bed, Tulip makes a wish in her Tulip way (with a bend and a sway), and it's always the same wish. One day, as Tulip hops and twirls in the park, she finds a special friend who just might make her wish come true. But could Tulip make someone else's wish come true, too? 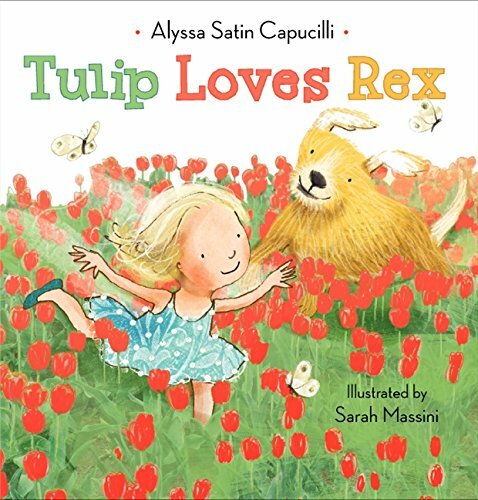 Beloved author Alyssa Satin Capucilli and talented illustrator Sarah Massini have created a lively story that dances with passion, friendship, and the momentous joy of sharing what you love with someone you love.